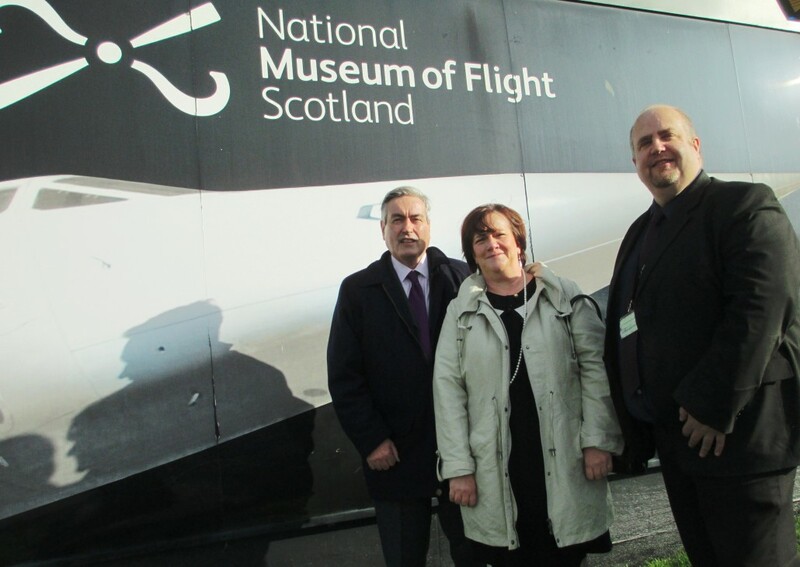 Iain Gray MSP and Fiona O’Donnell MP have visited the National Museum of Flight at East Fortune to learn more about its multimillion pound redevelopment plans. The politicians were given a tour of the site and an update about the attraction’s plans for restoring two Second World War hangars. At the same time as restoring the war-time hangers, the museum will also create vibrant new exhibitions in them with items which have never been on display before. The restoration will also allow objects currently in storage to be put on display, including uniforms, documents and photographs. Built in 1940 and 1941, the hangars were only designed to last ten years and are now in significant need of repair. The project will conserve the buildings and restore them to their original condition. “East Lothian is blessed with several really high quality visitor attractions and the National Museum of Flight is right up there with the best of them. The plans the museum has to restore two of its Second World War hangars and create new exhibitions in them are hugely impressive and will certainly take the visitor experience to another level. “This was my first visit to the National Museum of Flight. I was fascinated to find out more about the history of the site, the progress the museum has made in recent years, and its exciting plans for the future. 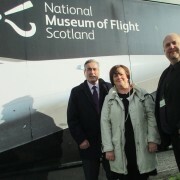 The enthusiasm of Steve McLean and his team for making the museum an even better visitor experience was clear to see.